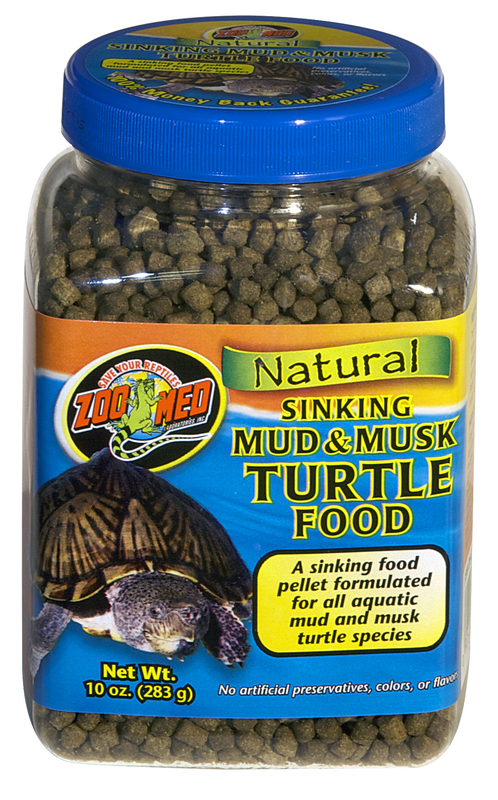 Zoo Med's Aquatic Turtle Food is used and recommended by Zoos, Veterinarians, and professional breeders worldwide. While some turtle species prefer to feed at the water's surface, many bottom-dwelling turtles such as Mud and Musk turtles prefer to consume food from the bottom of their habitat. This aquatic turtle pellet is formulated to meet the dietary requirements of aquatic turtles with a shell length of 2 inches (5 cm) or larger. The bit-sized pellets sink to the bottom of the habitat making it easy for bottom-dwelling turtles to locate their food. 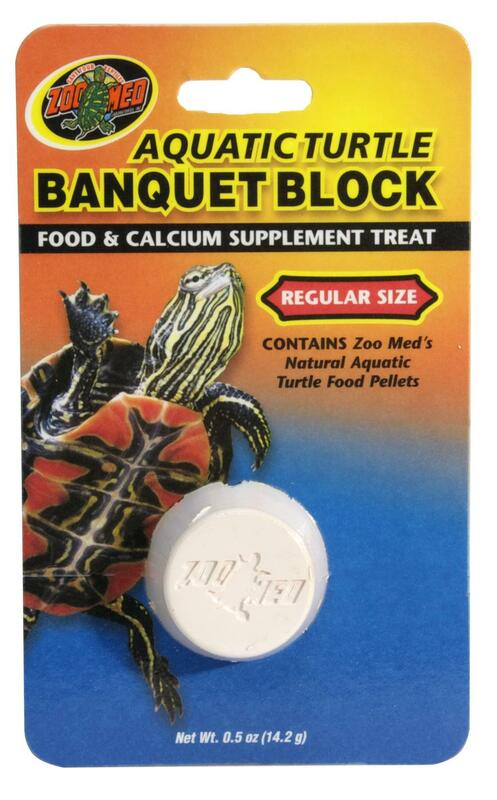 For hatchling turtles, use Zoo Med's Hatchling formula.